If you think this jacket looks familiar, you would be correct! 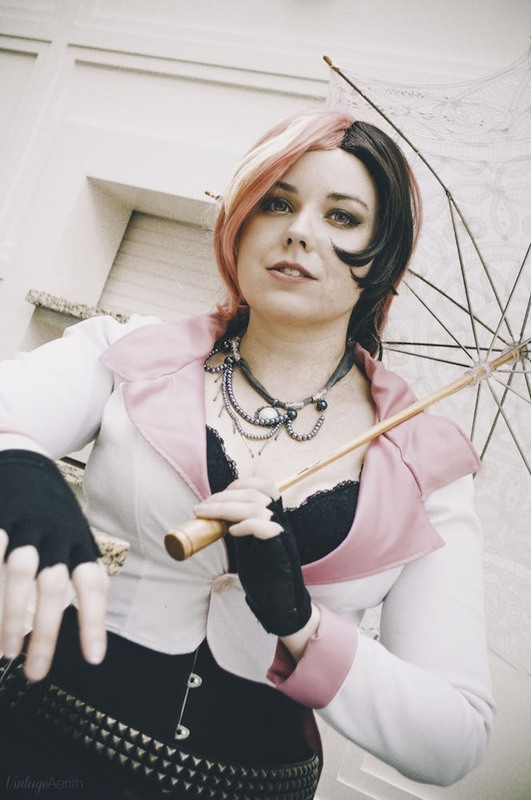 It is exactly the same as the Torchwick jacket I made for Sonja previously. 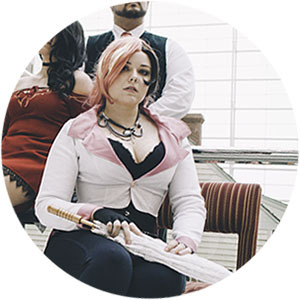 When Sonja wore her Torchwick costume, Monty Oum--the creator of RWBY and good friend to Sonja--decided he liked it so much that he would create a new character for the show with her outfit! He did, however change the lining from red to pink since it would be a little too much to have Torchwick and his sidekick matching like that. So, I made another jacket with a pink lining. 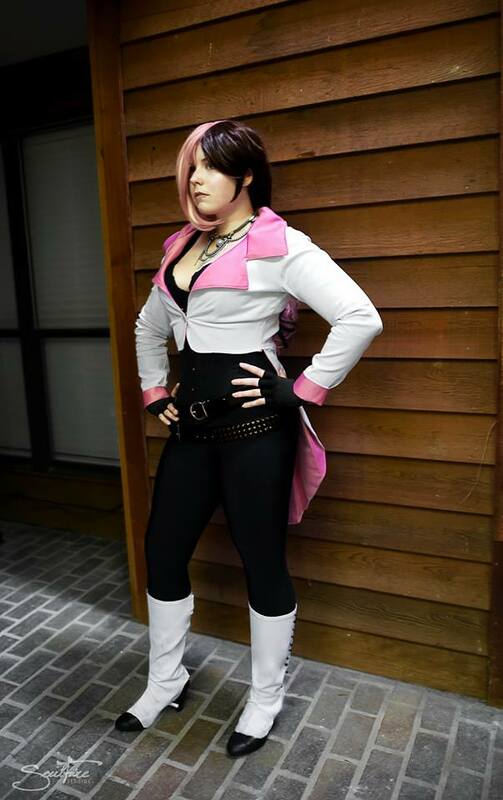 The only real difference is that I did make the collar a bit longer for this jacket since Neo does not pop her collar like Torchwick does. All of the detailing remained the same. The spats were made with the same fabric as the jacket. They loop underneath the shoes and close with velcro along the inseam. Photos by Soulfire Photography, 2014 and Vintage Aerith, 2015. 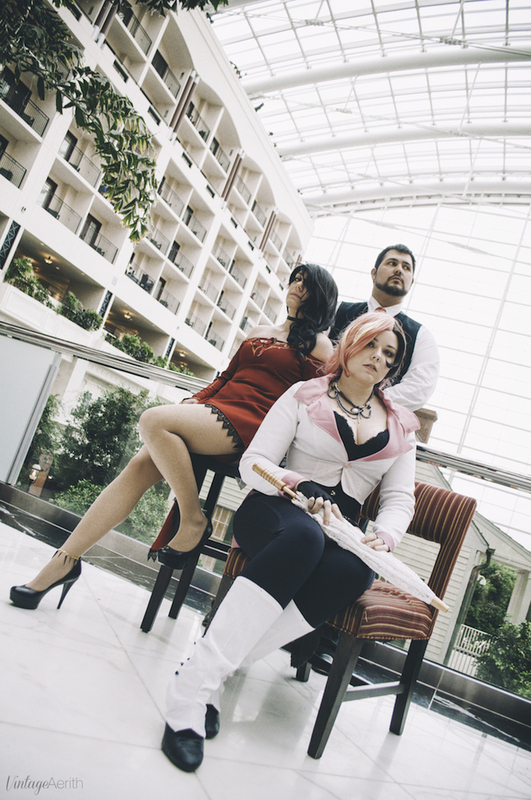 Also featuring Mindfall Media as Junior and Crimson Ember Cosplay as Cinder.